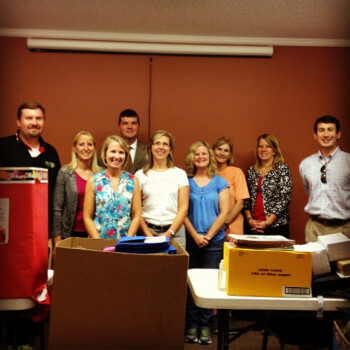 Fox’s is happy to help organize the 2015 Oconee school supply drive, to benefit students in need at area schools! We need your help. Between now and August 4th, simply purchase new school supplies and drop them off at Fox’s, the Oconee County Chamber of Commerce, Banksouth on 441, Danielle Grier with Prestige Property Specialists at Jennings Mill or Full Potential Chiropractic on Hog Mountain Road in the school supply donation bin. We will gather all donations and present them to Oconee schools just before school starts. See the links below for a list of most needed items by school! Interested in volunteering to be a liaison to a school? We’d love your help! Call 678-661-0220 or e-mail david@foxspizzaoconee.com . As an additional bonus this year, celebrate our Fox’s 8th anniversary with school supplies! Donate school supplies at Fox’s between now and when school starts. When you donate, you’ll receive a coupon for our 8th anniversary special… 8/8/15 only, receive one 8 slice medium pizza for only $8! Thank you for your support of area schools, and please help spread the word!